It’s probably no surprise to you that kids aged 13 and up watch 12.1 hours of videos per week on YouTube. You may even use YouTube yourself to watch news stories or find nostalgic videos. However, your kids likely watch something different. You may be concerned about what they’re watching. 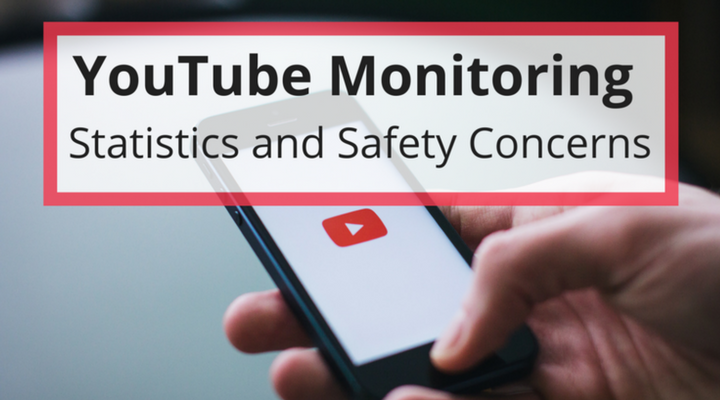 Did you know YouTube has parental controls you can put in place to help limit the inappropriate videos they may come across? However, monitoring YouTube only through internal parental controls is not enough, what happens when your kids post their own videos? Receive comments on those videos? YouTube can be a wonderful place full of educational and motivational videos. But it’s open platform with limited internal monitoring means that anyone can upload almost anything, and the comment sections can get nasty very quickly. Unfortunately, YouTube has no way to completely monitor what your kids post, or the comments they receive. Take a look at what this means and how you can start monitoring with the right tool. What Kind of Parental Controls Does YouTube Have? Take some time to look at YouTube’s support page through Google to learn how you can block your kids from watching certain videos. They offer a “Restricted Mode” that you can turn on or off at will. The feature allows you to block any mature content you don’t want your kids seeing. There is a very information video that is less than 3 minutes long that will walk you through the steps to set up Restricted mode. There are some limitations with YouTube’s Restricted Mode. For computers, it works on a browser level. This means you have to set up the restrictions on each browser. While you can lock the restriction into place on the computer, you can’t lock the restriction into place on phones or tablets. Many people try to circumvent the rules on YouTube and sometimes sneak in content not appropriate for children. A good example is a recent complaint about cartoons being posted on YouTube with overly adult content disguised as kid friendly. The BBC posted a report on this back in March as another example in how much of a minefield YouTube sometimes still is. Created to curb parental concerns, even YouTube Kids has problems with objectionable content. Known as “unbox it videos”, these are nothing but blatant informercials. In some cases, inappropriate content for kids can come through advertising rather than the video content. You probably want to give your kids some creative freedom to post videos on YouTube. Additionally, letting them express themselves there can become fun when it’s something positive to nurture their imaginations or future career interests. Yet, what kind of videos are they really posting? Are they making videos with overly personal things you don’t want them saying or showing? Did they post something with slightly mature content they shouldn’t post? Maybe they post dozens of videos per week, and you have no way to know what they posted until discovering them later. No doubt you’ve read the YouTube video comment sections for years, much to your regret. The company recently brought forth new guidelines to hide toxic comments. Nevertheless, you’ll still find many abusive postings from those hiding under a screen name. What happens if your kids start getting abusive comments on their videos? They may even get sexual predators trying to start conversations with them or offering to buy them items on their Amazon wish lists. You’re going to need a digital tool to monitor and know what’s really going on. As an advance machine learning engine, Bark monitors social media apps like YouTube, email, and even your child’s device. With an easy sign-up, you’re sent an email or text any time your children post a video with potential issues on YouTube. Plus, you’ll receive alerts on comments they receive that are potentially cyberbullying or contain sexual content. Now you can rest assured you are actively engaged in monitoring their YouTube without watching every video yourself. You can also go in and shield or report any bullying comments your kids receive. Visit our site to find out more about how our platform works and pricing.